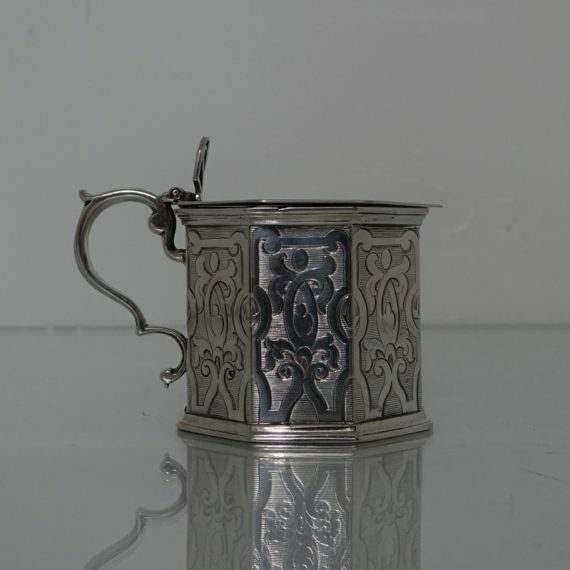 A very elegant 19th century exceptional quality octagonal mustard pot with scroll handle. A very elegant 19th century exceptional quality octagonal mustard pot with scroll handle. 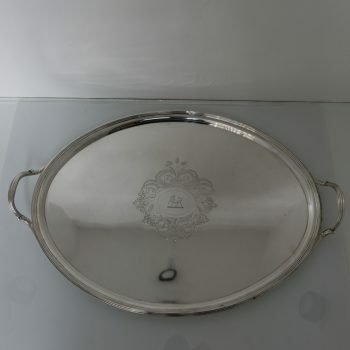 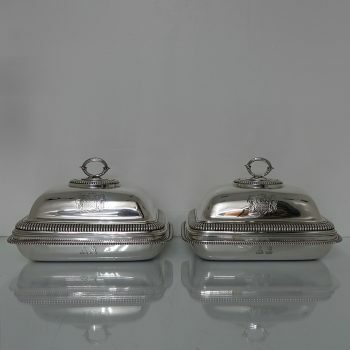 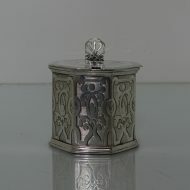 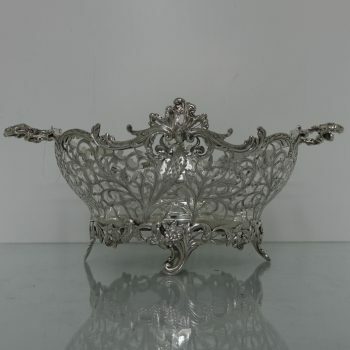 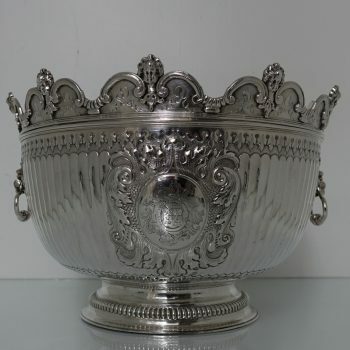 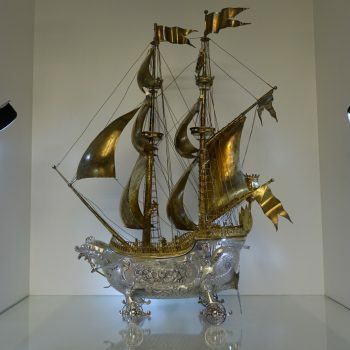 The body and lid has beautiful bright cut hand engraving for decoration. 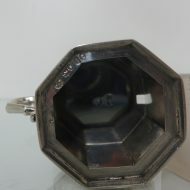 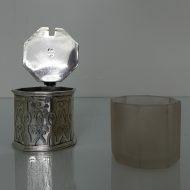 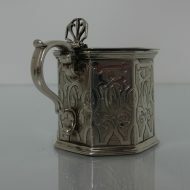 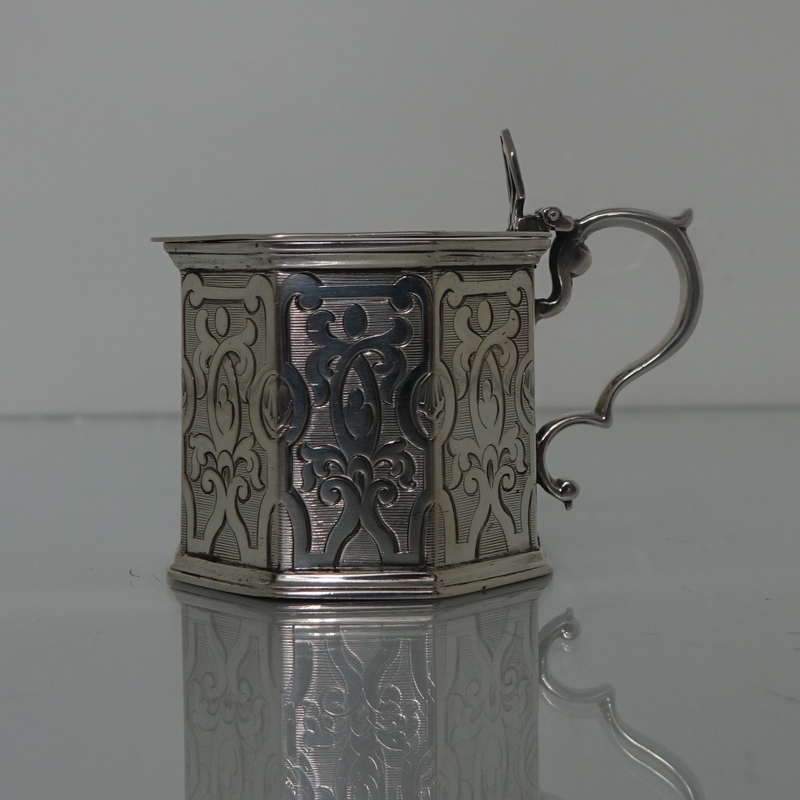 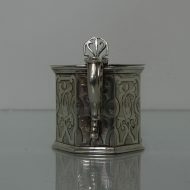 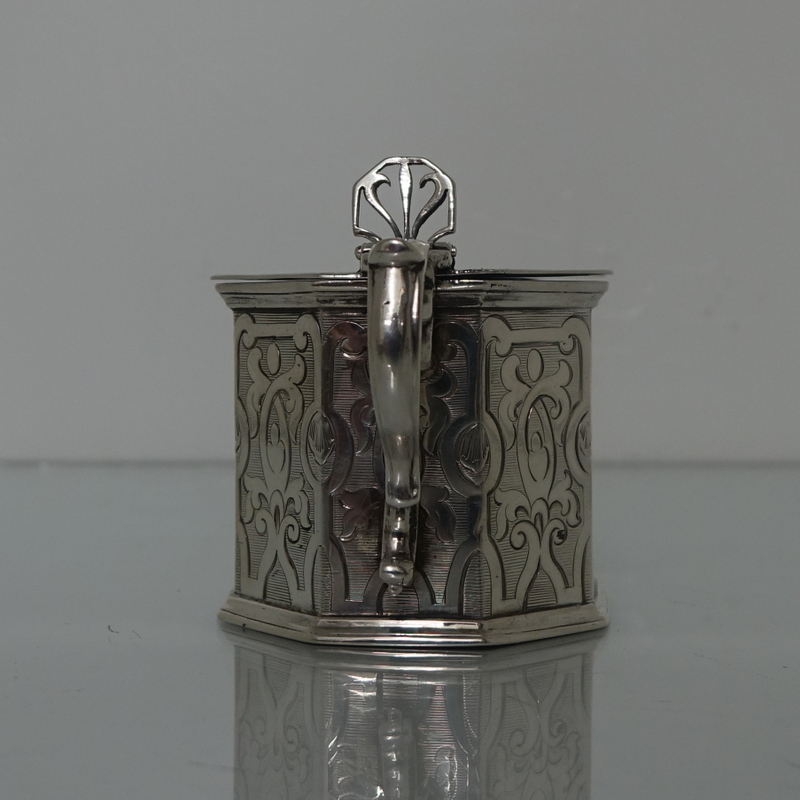 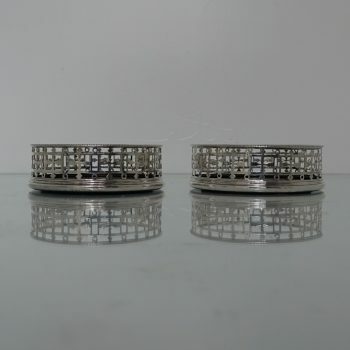 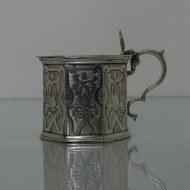 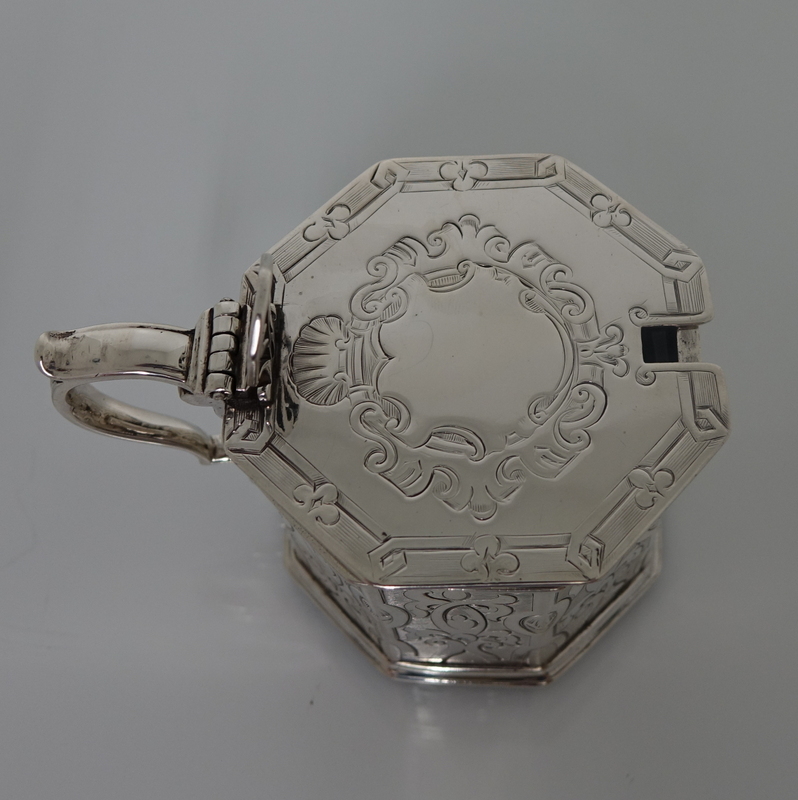 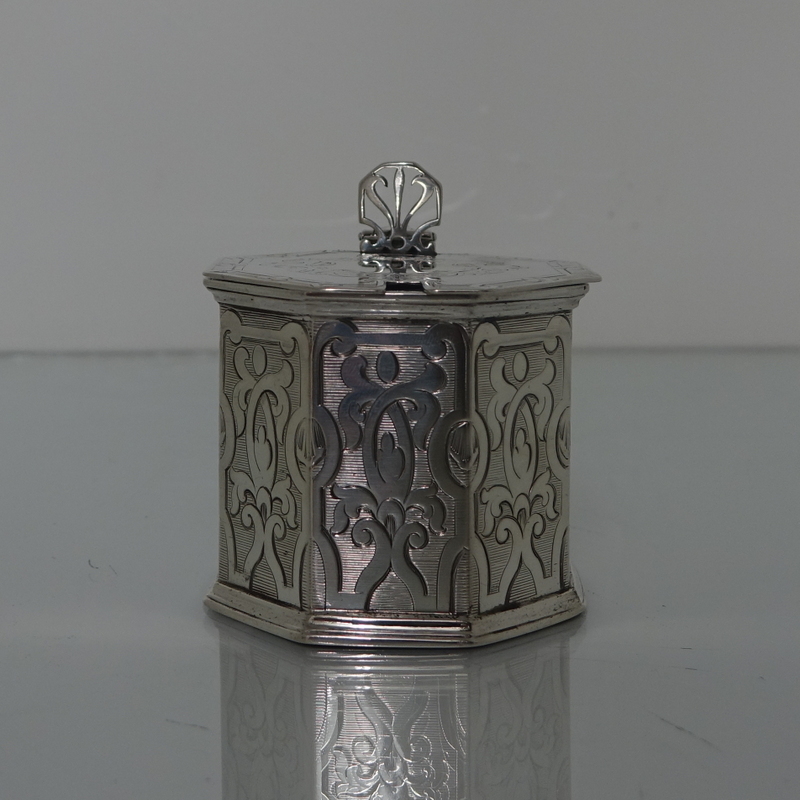 The lid is hinged with an ornate thumb piece for added highlights. The mustard pot has a removable white liner.